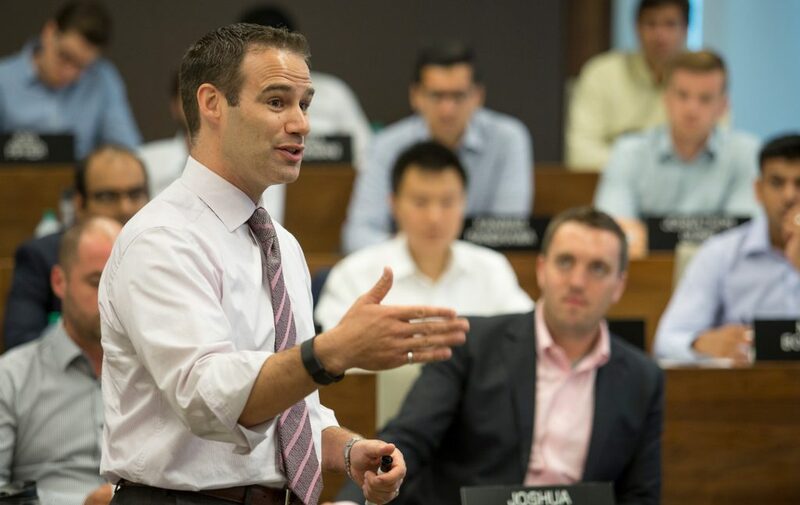 On the inaugural #WorldCaseTeachingDay, The Case Centre announces David Wood, Operations Management faculty member and MBA Program Director at The Ivey Business School, as the 2019 Outstanding Case Teacher competition winner. Presented annually since 2013, the global Outstanding Case Teacher competition recognises exceptional teachers who are achieving excellence through innovative and creative approaches to case teaching. Richard McCracken, Director of The Case Centre and chair of the judging panel, said: “David’s exceptional case teaching is evidenced by his nearly perfect teaching evaluations, the remarks of colleagues and students, and the fact he was rated in the top 5% of the faculty at a business school renowned for case teaching. “The students who nominated David speak clearly of his ‘real world’ experience, and his ability to bring that experience in to the case classroom. They also highlight his commitment to getting to know his students, his dedication to preparing for class, and his skill in guiding case discussions. “In addition to his ability in the classroom, all our judges were extremely impressed by David’s inspirational wider commitment to case teaching. This is demonstrated by his participation as a coach for students on the Ivey LEADER Project, his exploration of how technology can enhance the case classroom, and his work on new versions of the influential case method books co-authored by Michiel Leenders, Louise Mauffette-Leenders and James A. Erskine. The Case Centre is the independent home of the case method and is dedicated to advancing the case method worldwide, sharing knowledge, wisdom and experience to inspire and transform business education across the globe. It is a not-for-profit organisation and registered charity.